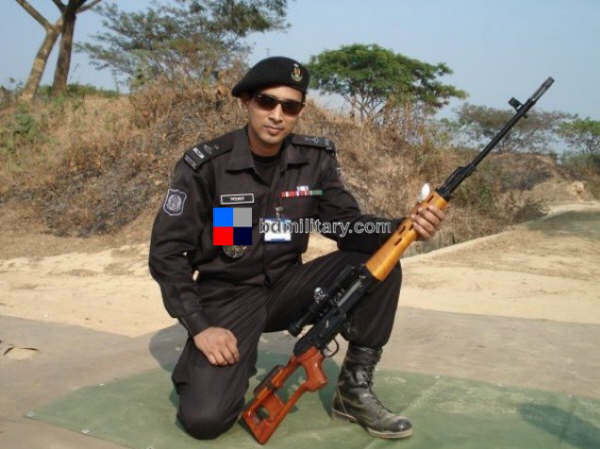 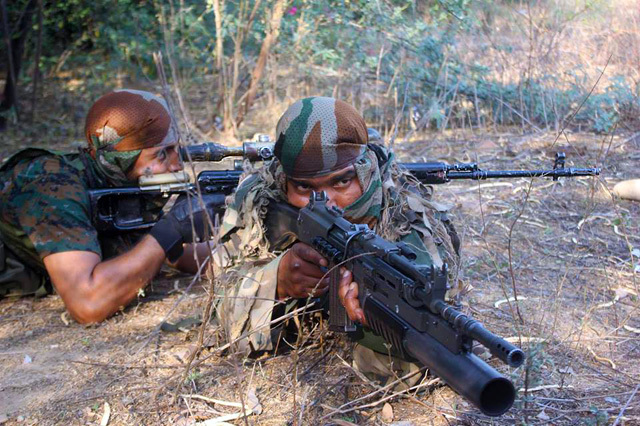 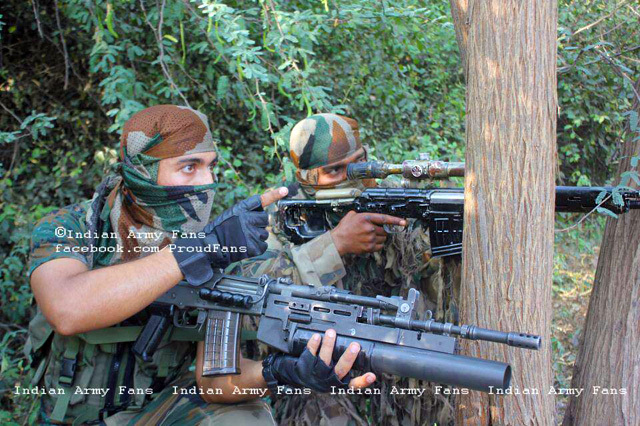 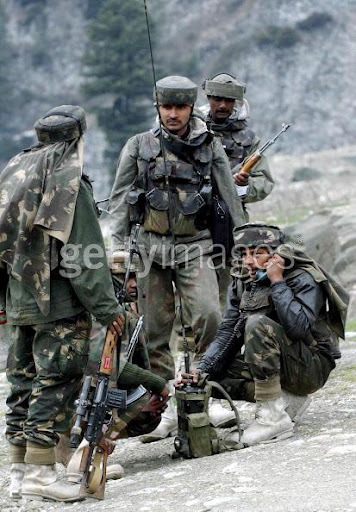 Indian soldiers with Insas rifle and SVD. 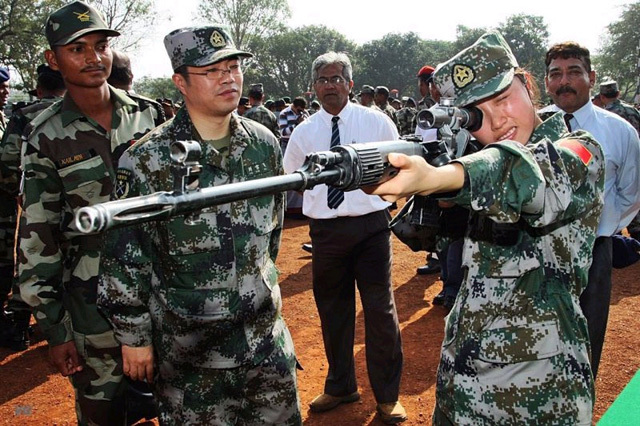 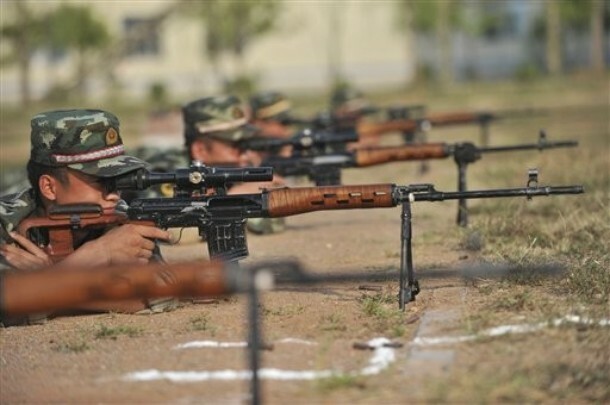 Chinese soldier aims a Russian SVD during joint training with Indian military in Belgaum 2008. 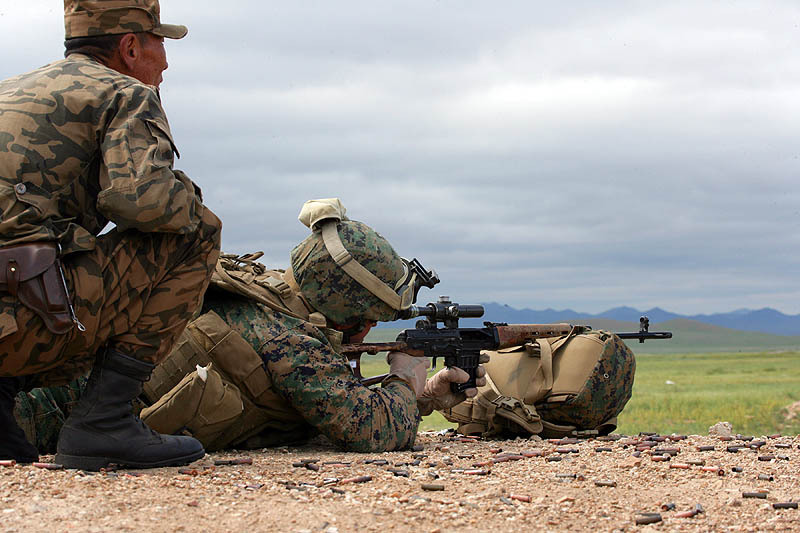 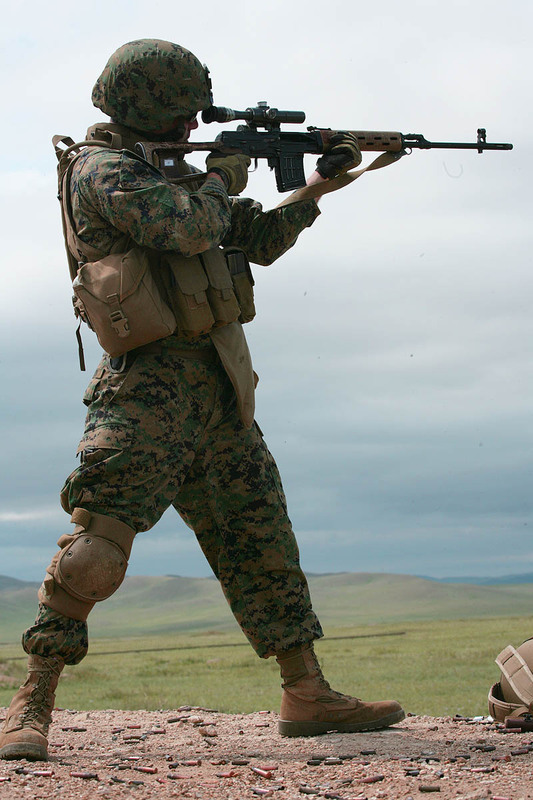 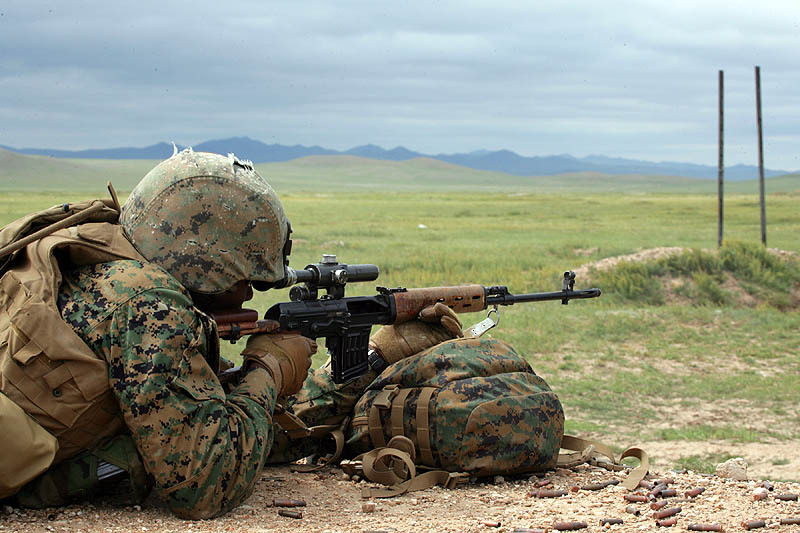 U.S. Marine Corps from 1st Platoon, Echo Company, 3rd Assault Amphibious Battalion, 1st Marine Division fires a Dragunov SVD sniper rifle provided by the Mongolian armed forces as part of Khaan Quest 2009 at the Five Hills Training Area in Mongolia Aug. 14, 2009. 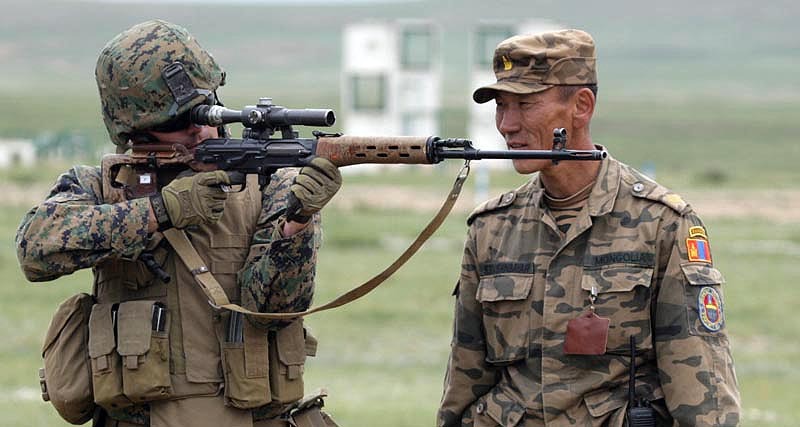 The Marines and Mongolians are exchanging knowledge about their respective weapon systems.